A Nevada woman defending her Second Amendment rights refused an invitation to sing the national anthem before a minor league baseball game. 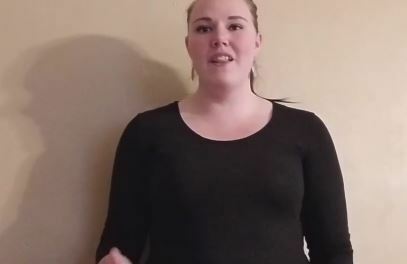 Alishia Wolcott was supposed to sing the national anthem before a Reno Aces baseball game this summer but backed out when she found out the team had enacted a policy which would not allow her to bring her gun, The Associated Press reported. Wolcott received her concealed carry permit earlier this year and said, since she doesn’t feel safe walking at night in downtown Reno where the stadium is located, she planned to have her Glock 43 9 mm pistol with her for protection. The Reno Aces had already banned guns at the stadium but recently began to require being checked at metal detectors at the gate before entering the ballpark. Arriving at the stadium last weekend, Wolcott and her husband decided to skip the game rather than return their weapons to their car once they saw the gate check. “When I walked up to the game on Saturday and saw the way security was checking people, I realized the hand wand wasn’t going to stop someone who has ill intentions,” Wolcott said, according to the Reno Gazette Journal. “We walked away angry and disappointed … Disappointed because it happened at a venue that hosts one of America’s favorite pastimes,” she wrote in her letter to the Aces, informing them of her decision. Wolcott admitted she thought about using the chance to sing national anthem as a platform to advocate for gun rights. “But, I have too much respect for the national anthem and the time dedicated for it,” she said. Entire County Defies Liberal State Law Aimed At Stripping Second Amendment Rights – Suggests New Kind Of Sanctuary City That Dems Will HATE! FIRESTORM – Dem. Eric Swalwell Suggests Government Should GO TO WAR With American’s Who Won’t ‘SURRENDER’ Their Firearms!